Recover assets that were accidentally removed from a wall in a couple quick steps. 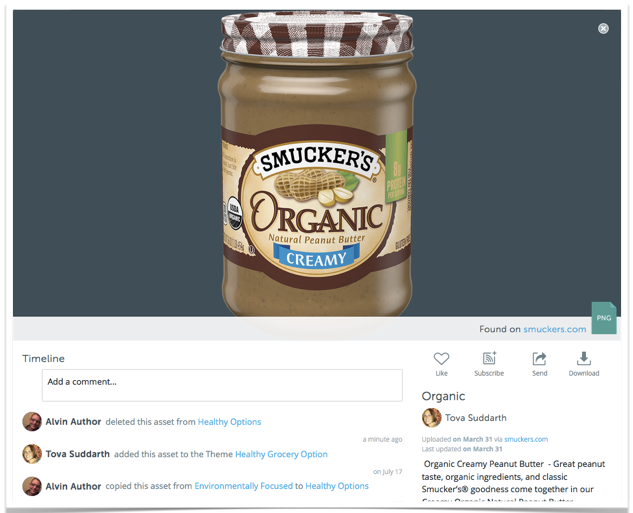 Did you accidentally remove content from a wall and want to add it back onto a wall? When you select an item on the wall (outlined in blue) and click Remove (X) you will receive a message stating you are Removing assets that from the wall. 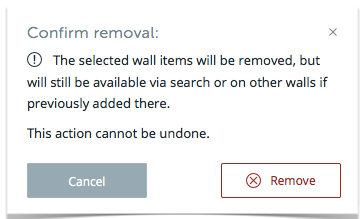 Did you click “Remove” and want the content back on the wall? Or did you mean to move it to another wall not “remove” it? 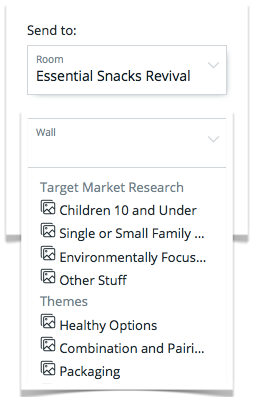 Follow these couple steps to search for the recently removed content and add it back to the appropriate wall in the room. 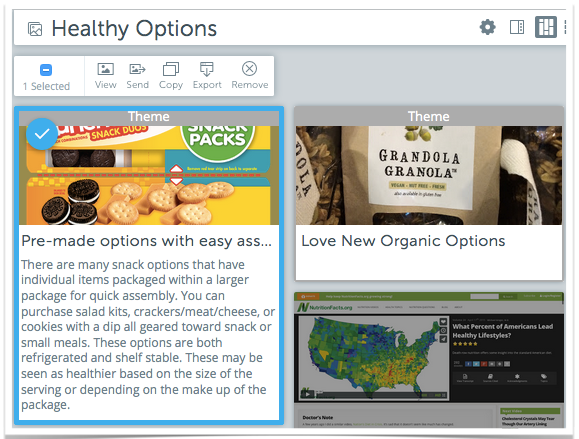 1) Go to the room where you removed the content and go to the "search" tool at the top of the page or click "View All Assets" at the bottom left in the room. 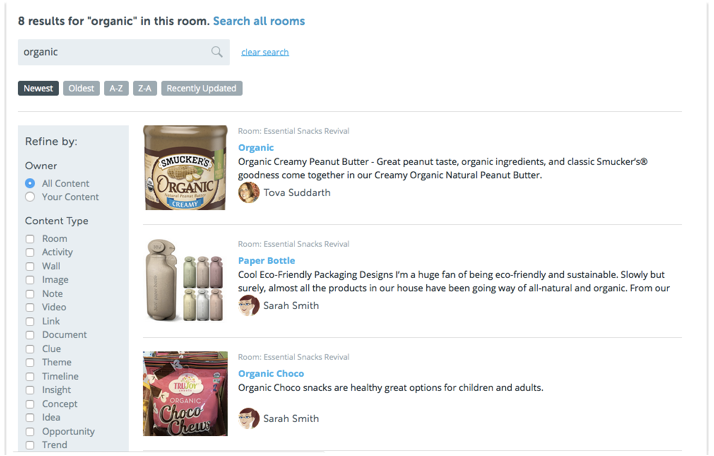 2) Room Search results will show and you can select the previously deleted item by double clicking on the name. The full details will show and will also show your name in the timeline as a person who deleted the content. 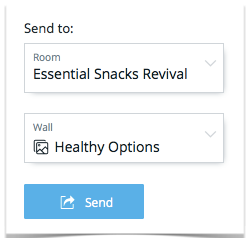 3) Click the “send” button and this will allow you send the content back to the Room and Wall of your choice. Click "Send" button and it will be sent appropriately. Note : Only the owner of the asset or owner/moderator of a room can permanently delete an asset.